I live in Israel. For about 5 years now. Even though I have no connection to the country when it comes to family or religion. And now you are asking yourself; ok, so? The thing is, that for some reason I don’t always tell people I don’t know about the fact that I live in Israel. I know that probably a majority of people don’t really care if I live there or anywhere else in the world, they know little about the country and are not planning to give it much thought. And some people think it’s really cool and different that I live there, and would love to visit or learn more. But you always have that group of people with really strong opinions in the matter of Israel. On the contrary, I always feel pretty comfortable telling people I am from Sweden without being afraid someone will ask worried questions about if I have ever been attacked by a moose, or start going off on Swedish politics and how they handle things. But with Israel there will always be those who might be completely against me living there, and there will be those that have a lot to say about it, regardless of if they actually know much about it or not (usually they don’t). So every time I decide if to say out loud where I live, I need to take in to consideration that saying the name of the place might or might not cause a reaction, and might lead to some kind of conversation related to politics or opinions, or comments about my safety, and every time I kind of need to decide if I am prepared to take that right now or not. Me living in Israel has absolutely nothing to do with politics, opinions or statements. We all end up in different places, and I ended up in Israel. I am very happy that I ended up in Israel, and in Tel Aviv, because once upon a time I was one of those who knew nothing about this place, and had all kinds of weird images of what it’s like there, which I know now have nothing to do with reality. So many, still, seem to think that Israel is all about wars, camels, desert, apartheid and soldiers. Media seem to like to have people picture it that way. The truth though, about living in Tel Aviv, is that life has nothing to do with those things. 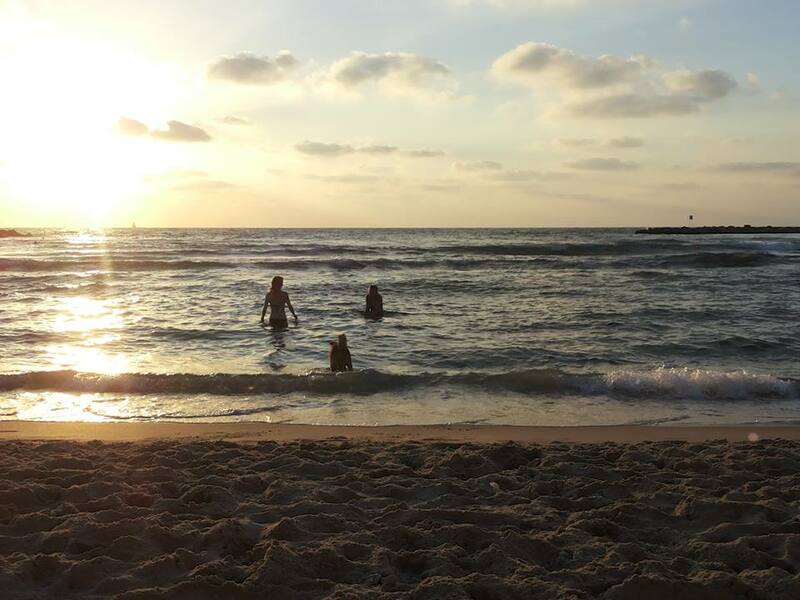 Life in Tel Aviv has all to do with beaches, bars, pride parades, cafés, shopping, mixed cultures, strolls with your dog down the boulevards, and people who just want to live in peace. I know no other place where so many different cultures come together in such a beautiful way, which is one of the reasons I love this country (and then they talk about apartheid). I love the fact that people in Tel Aviv can love who ever they want openly, regardless of gender or nationality. And sure there is desert in Israel, and you can actually find a couple of camels there, and it’s beautiful, hot and dry. But what many don’t think about is that there is also a lot of green and forest in the north, an you can even do ski in the winter. So much variety fitted on such a small surface. With that said, here is a list of a few things (completely unrelated to politics) that people should know about Tel Aviv and Israel. There are beaches the whole way alongside the city of Tel Aviv (and many other places), and everyone has their favorite beach depending on what they are in to. It’s therefor important to be beach savvy in Tel Aviv. My personal favorite is the dog beach, where all the dogs go to play and swim together while their humans are working on their tan. The dog beach is suitably located just between the gay beach and the orthodox beach. The hummus in Israel is great. But it’s not okay to just eat any hummus, because there is hummus and there is hummus. When you start asking around you will quickly notice that everyone has their favorite hummus place, which they will insist is the best hummus in the country, or possibly the world (they will also have their favorite falafel and shawarma place). The discussions about which place has the best hummus can get pretty intense, just like when soccer fans fight for their favorite soccer team. 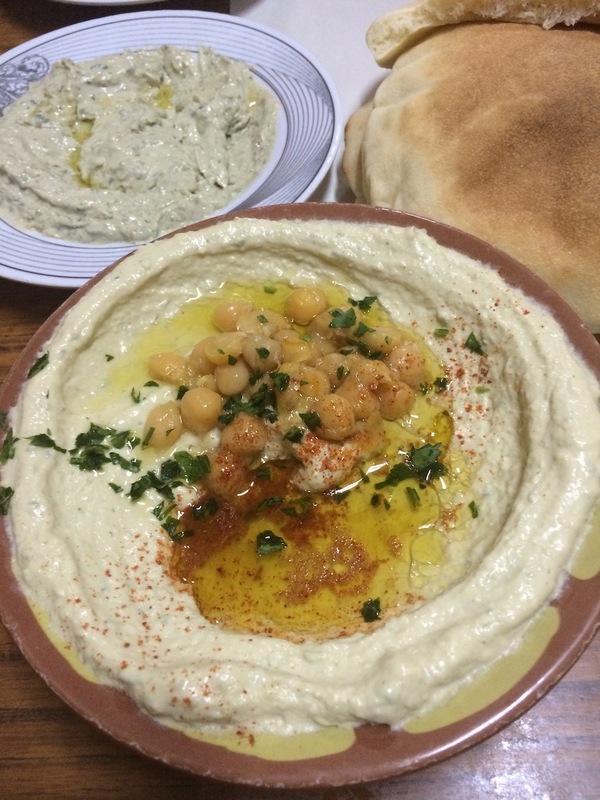 My personal favorite is the hummus restaurant in Kfar Kesem. You never ever have to be bored in Tel Aviv, there is always something going on, this city really never sleeps. No matter what you are in to, you will find something to do in Tel Aviv. If it’s not the beach you feel like today you could do a picnic in one of the parks, do a shopping tour, go see some museums or art galleries, or visit one of the many markets; you will find markets for food, for second hand, and my personal favorite which is the artist market on Nachalat Binyamin, where you will find artists selling all kinds of hand made things. Or if you are more into parties, you will always find a party in Israel; big, small, street, roof, inside, outside, day, night, in the city, out in the nature… you name it, the parties are there. For food and drinks there are unlimited numbers of places to go to in Tel Aviv; cafés, bars, and restaurants in every corner. Any night of the week is a good night to go out in Tel Aviv, regardless of if you want to have dinner, or just sit for a beer, or if you want to go dancing. You will also find cafés open pretty much all the time, and people sitting and having coffee around midnight is not a weird thing. One of my favorite places at any hour of the day, or night, is Benedict, which serves breakfast 24/7 all week. Tel Aviv is called The Bubble for a reason, and that reason is that life in Tel Aviv is very different from many other places in Israel. It’s the city where everything is allowed and everything is possible. Where stores are open on Shabbat and you can find bacon in the supermarket. In other parts and places of Israel you will find many other varieties of daily life; where some live in more traditional and religious areas, some live in historical places like Jerusalem, some live in Kibbutzim, some live in small villages, some are Bedouins in the desert, and some live in one of all the other cities in the country. For me this is part of the charm with the country; it is so small, and still you can find so much variety, in every aspect. Amazing! Missing Israel so much after reading this!